Back! After a 7 year hiatus! All new shows! All new topics! Join Denver & Lauren as they explore a wide variety of topics ranging from popular culture to the fringes of society. From colloquial to macabre they offer an original, down to earth perspective, evaluating each topic from technical, historical, sociological, and psychological points of view. 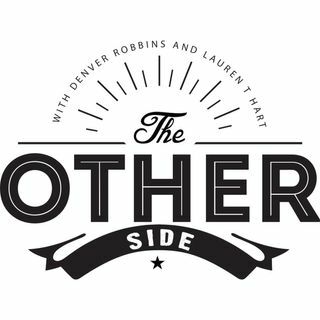 “The Other Side is a fun, entertaining podcast brimming with knowledge and fascination for all things that carry more questions than ... See More answers.” -Stephen P. Radford; Podcaster, and Author of the “Threads of Fate” Trilogy.